^ Airport traffic data: 1985-86 to 2016-17. Bureau of Infrastructure, Transport and Regional Economics. [12 January 2018]. ^ New Melbourne to Sydney flight route takes-off. The Age. 2009-07-02 [2009-07-04]. ^ OAG reveals latest industry intelligence on the busiest routes (新闻稿). OAG. 2007-09-21 [2008-08-23]. （原始内容存档于2010-11-13）. ^ Melbourne air freight exports top Sydney for the first time (新闻稿). Victorian Government. 2009-02-26 [2009-03-04]. ^ 2003 Annual Report (PDF). Melbourne Airport. 2003 [2008-06-30]. （原始内容 (PDF)存档于2008-07-24）. ^ Second Major Australian Tourism Award for Melbourne Airport. Melbourne Airport Media Releases (新闻稿). 1 December 2000 [30 June 2008]. （原始内容存档于2008年7月24日）. ^ World Airport Star Ranking. Skytrax. [2008-08-12]. ^ Moynihan, Stephen. Tiger bites into fares, but Tulla bleeds. The Age. 2007-07-13 [2008-07-31]. ^ Qantas to double flights between Melbourne and London. Asia Travel Tips. 2005-12-15 [2008-07-31]. ^ Moynihan, Stephen. Austrian Airlines flies out. The Age. 2007-01-24 [2008-07-31]. ^ Melbourne Airport Media Release - 'Positive international and domestic passenger growth at Melbourne Airport during 2006/2007' - 23 July 2007. [2007-07-31]. （原始内容存档于2007年8月29日）. ^ End of Year Wrap Up for Australia Pacific Airports Corporation. Melbourne Airport Media Releases (新闻稿). 2008-08-27 [2008-09-26]. （原始内容存档于2008-12-31）. ^ Murphy, Mathew. Korean Air to announce new Melbourne service. The Age. 2007-09-05 [2008-06-30]. ^ Cathay Pacific goes triple daily from Melbourne. Melbourne Airport Media Releases (新闻稿). 2007-07-19 [2008-06-30]. （原始内容存档于2008-07-20）. ^ Air China strengthens position as carrier of choice between Australia & China. e-Travel Blackboard. 2007-10-10 [2008-06-30]. ^ China Southern introduces Melbourne-Guangzhou direct service. e-Travel Blackboard. 2007-10-05 [2008-06-30]. ^ Jetstar to fly Melbourne-Singapore route. The Age. 2008-01-23 [2008-06-30]. （原始内容存档于2008-10-11）. ^ Air Vanuatu to commence Melbourne service. Aviation Record. 2008-03-13 [2008-06-30]. （原始内容存档于2008-07-25）. ^ Norfolk Air adds Melbourne service. Aviation Record. 2008-03-10 [2008-06-30]. （原始内容存档于2008-07-22）. ^ The Qantas A380 – Now on sale (新闻稿). Qantas. 16 June 2008 [30 June 2008]. （原始内容存档于2008-06-28）. ^ AirAsia X flies direct to Melbourne. Peanuts! Online. 2008-08-20 [2008-08-20]. （原始内容存档于2008-08-22）. ^ Emirates announces third Melbourne flight. Travel Weekly. 2008-07-25 [2008-07-25]. （原始内容存档于2008-09-29）. ^ Etihad to launch flights to Melbourne in 2009 (新闻稿). Etihad Airways. 2008-07-28 [2008-07-28]. ^ Qatar Airways To Launch Melbourne Route In Time For Holiday Rush (新闻稿). Qatar Airways. 2009-06-17 [2009-06-18]. （原始内容存档于2009-06-19）. ^ Rochfort, Scott. Delta to compete with Qantas on Sydney-LA route. The Age. 2008-12-19 [2008-12-21]. ^ Sidhu, B. K. Jetstar keen to add new routes. The Star. 2008-02-18 [2008-06-30]. ^ Murphy, Mathew. Jetstar to drop Melbourne flights to Hawaii. The Age. 2007-08-08 [2008-06-30]. ^ Boey, Caroline. Royal Brunei starts charter to Melbourne. TTG Asia. 2003-07-03 [2008-06-30]. ^ Royal Brunei eyes Melbourne, Adelaide. Travel Weekly. 2007-02-02 [2008-06-30]. （原始内容存档于2007-02-10）. ^ Virgin Atlantic Makes Europe's Largest Single Order for Fuel-Efficient Boeing 787 Dreamliners (新闻稿). 維珍航空. 2007-04-24 [2008-06-30]. ^ Virgin sets long term sights on Melbourne. Travel Weekly. 2006-10-11 [2008-06-30]. （原始内容存档于2008-12-07）. ^ Second Airport entry road opens. Melbourne Airport Media Releases. Melbourne Airport. [2008-09-27]. （原始内容存档于2008-07-22）. ^ Melbourne Airport — Parking. Melbourne Airport. [2008-06-30]. （原始内容存档于2008-05-12）. ^ 44.0 44.1 44.2 1999 Annual Report (PDF). Australia Pacific Airports Corporation Limited. [2008-07-29]. （原始内容 (PDF)存档于2008-07-24）. 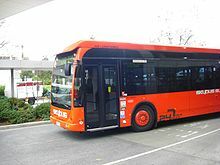 ^ Melbourne Airport — Bus Services. Melbourne Airport. [2008-07-29]. （原始内容存档于2009-02-04）. ^ Airport Direct — Timetable. Airport Direct. [2008-07-29]. （原始内容存档于2008-07-20）. ^ Gull Bus Services — Timetable. Gull Bus Services. [2008-07-29]. ^ Melbourne Airport Rail Link Not Viable Now (新闻稿). Minister for Transport. 2002-01-18 [2008-06-30]. （原始内容存档于2008-10-04）. ^ Why can't this train get us to the airport?. The Age. theage.com.au. 4 June 2006 [2008-07-29]. ^ Surge in passenger demand prompts call for Airport rail link. Herald Sun. 2008-07-22 [2008-07-23]. ^ 2008 Draft Master Plan (PDF). Melbourne Airport. 28 April 2008 [30 June 2008]. （原始内容 (PDF)存档于2009年3月25日）. ^ Ferguson, John. Melbourne airport seeks underground train line. Herald Sun. 2008-04-29 [2008-06-30]. ^ Melbourne Airport — Technical. Melbourne Airport. [2008-06-30]. （原始内容存档于2008-07-21）. ^ 59.0 59.1 Melbourne Airport — the hub for freight in Australasia. Melbourne Airport. [2008-06-30]. （原始内容存档于2008-02-26）. ^ Melbourne Airport renames terminals. Melbourne Airport Media Releases. Melbourne Airport. [2008-07-29]. （原始内容存档于2008-07-24）. ^ Qantas Club Locations. Qantas. [2008-07-29]. ^ 62.0 62.1 62.2 Melbourne Airport — Airline Lounges. Melbourne Airport. [2008-07-29]. （原始内容存档于2008-07-20）. ^ More space promised in Melbourne airport facelift. Herald Sun. News.com.au. 27 August 2007 [2008-07-29]. ^ $330m Expansions to Melbourne's International Terminal. Melbourne Airport. 2007-08-25 [2007-08-25]. （原始内容存档于2007-08-31）. ^ Anderson approves new Melbourne Airport terminal. Media Release. www.minister.infrastructure.gov.au. 15 April 2000 [2008-07-29]. （原始内容存档于2008年7月28日）. ^ Domestic Multi-User Terminal For Melbourne Great For Competition. Melbourne Airport Media Releases (新闻稿). 2002-08-26 [2008-07-29]. （原始内容存档于2007-10-23）. ^ Virgin Blue and Melbourne Airport Reach Terminal Deal. Melbourne Airport Media Releases (新闻稿). 2002-07-23 [2008-07-29]. （原始内容存档于2008-07-24）. ^ The Lounge Pricing. Virgin Blue. [2008-07-29]. （原始内容存档于2008-07-23）. ^ Rex Lounge. 區域快線. [2008-08-15]. ^ Domestic Multi-User Terminal For Melbourne Great For Competition. Melbourne Airport Media Releases. 2002-08-26 [2008-05-02]. （原始内容存档于2007-10-23）. ^ Melbourne Airport. Airport Technology. [2008-07-26]. ^ Murphy, Mathew. Fares to fall as city sinks its claws into Tiger. The Age. 2007-05-03 [2008-06-30]. ^ Murphy, Mathew. Jetstar bid for Tulla expansion. The Age. 2008-05-19 [2008-06-30]. ^ Melbourne Airport — Hotels. Melbourne Airport. [2008-09-27]. （原始内容存档于2008-12-04）. ^ Melbourne Airport — General Facilities. Melbourne Airport. [2008-09-27]. （原始内容存档于2008-07-19）. ^ Melbourne Airport — Golf Club. Melbourne Airport. [2008-09-27]. （原始内容存档于2008-12-01）. ^ Two stabbed in attempted hijack over Melbourne. The Sydney Morning Herald. 2003-05-29 [2008-10-01]. ^ Qantas hijacker found not guilty. The Age. 2004-07-14 [2008-11-22]. ^ South Terminal evacuation. Melbourne Airport Media Releases (新闻稿). 2005-02-21 [2008-06-30]. （原始内容存档于2008-07-24）. ^ A report of the response to an emergency at Melbourne Airport (PDF). Emergency Services Commissioner. 2005-03-24 [2008-06-30]. （原始内容 (PDF)存档于2008-07-19）. ^ AO-2009-012: Tail strike, Airbus Industrie, A340-541, A6-ERG, Melbourne Airport, Vic, 20 March 2009. Australian Transportation Safety Bureau (新闻稿). 2009-03-20 [2009-04-16]. （原始内容存档于2009年4月27日）.